Her twirl will be on point in the Stella McCartney Kids™ Embroidered Stars Tulle Skirt. Stretch waistband for custom fit. Tulle overlay with star print throughout. 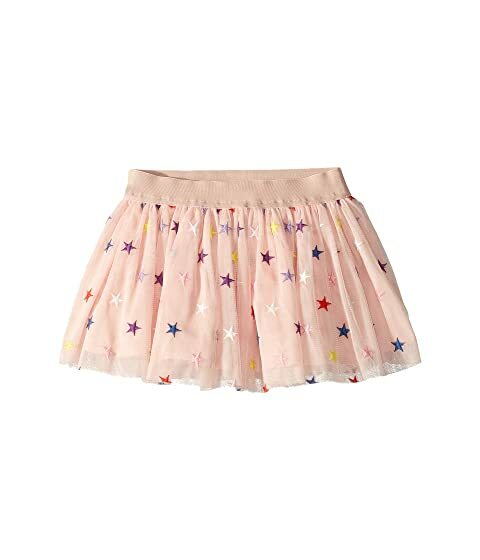 We can't currently find any similar items for the Embroidered Stars Tulle Skirt (Toddler/Little Kids/Big Kids) by Stella McCartney Kids. Sorry!